The Arlington County Board has approved a nine-month demonstration program to evaluate dockless bikeshare bikes and electric stand-up scooters, referred to as shared mobility devices. 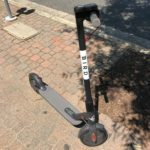 Cristol noted that at least one scooter company already is putting scooters on Arlington streets, prompting concern among residents about safety and traffic implications. The staff report notes that speed, especially on sidewalks, is a key concern that will be monitored during the demonstration period. During the demonstration project, scooters will not be allowed on sidewalks or trails. The Board voted unanimously to approve the demonstration project at its Tuesday, Sept. 25, 2018 Recessed County Board Meeting. The County will study scooters in Arlington. The demonstration program will begin in October. Participating companies will be required to sign a memorandum with the County and obtain a permit for their fleets of dockless bicycles, e-bicycles and e-scooters, including paying a one-time $8,000 fee for each mode. Each fleet mode initially will be capped at 350 devices, with permission to request performance-based increases of 50 devices at a time, up to 750 per mode per company. All devices will be required to provide safety features consistent with state regulations and standard practice for Capital Bikeshare. The County’s Department of Environmental Services Transportation Division and the Arlington County Police Department will monitor and enforce the program. The goal is to “learn if and how the technologies and services help to advance the county’s transportation goals of making the community better, safer and more sustainable,” according to the staff report. There is already a webpage for the demonstration on the County website. Residents are encouraged to use the comment form on the webpage to submit their feedback, or send a message to: mobility@arlingtonva.us. Unlike Capital Bikeshare – which is funded by Arlington County, the District of Columbia, City of Alexandria, Fairfax County, and Montgomery County and Prince George’s County in Maryland – dockless bikeshare bikes and electric stand-up scooters are privately funded and do not require docking stations. Just one year after the first such service appeared in Seattle, at least 25 metropolitan areas now have them. Five companies operate in the District of Columbia and Montgomery County. 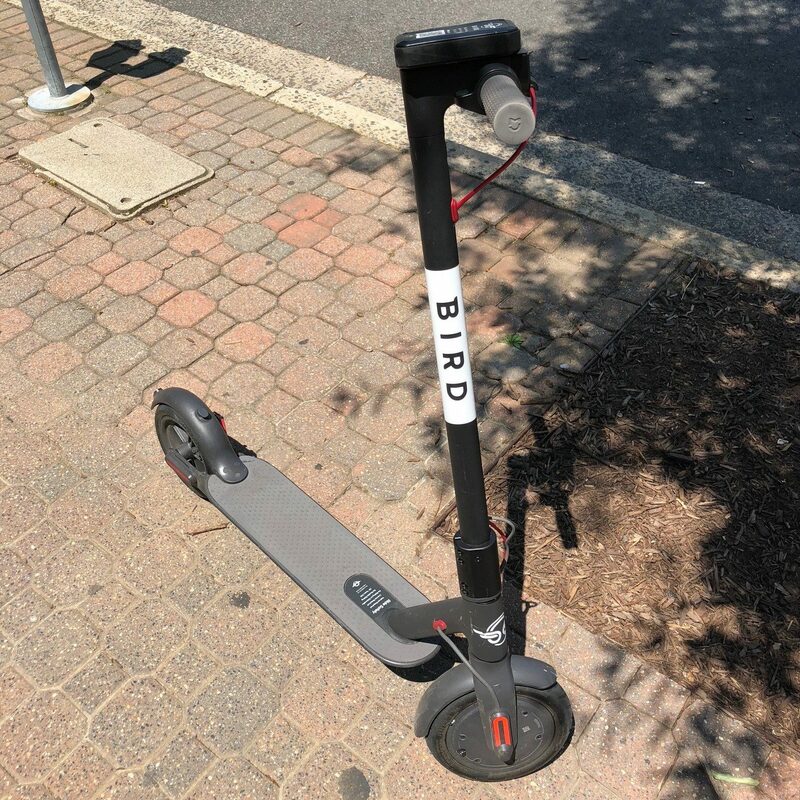 One company, Bird, recently brought a fleet of electric scooters to Arlington in response to demand for the service. The County sees dockless bicycles and electric scooters as possible substitutes for short car trips, potentially encouraging commuters to leave their cars at home by covering the first or last mile from Metrorail stations and ART and Metrobus stops to home or work. The service may also provide another transportation option in the Metrorail corridors, where market demand continues to shift away from providing car parking to providing other amenities and services that support households with fewer cars. To learn more, including details of the robust communications plan associated with the program, and how the services will be evaluated, visit the County website. Scroll to Item No. 25 on the agenda for the Tuesday, Sept. 25, 2018 Recessed County Board Meeting to read the staff report. Arlington will no longer use vehicle decals after July 1, 2019.